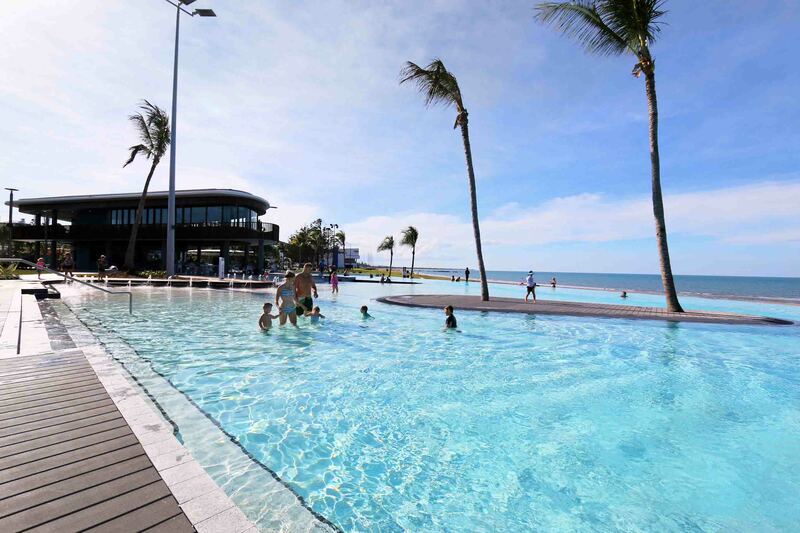 Year round, our Capricorn Coast climate is perfect for the relaxing atmosphere of infinity pool bliss. 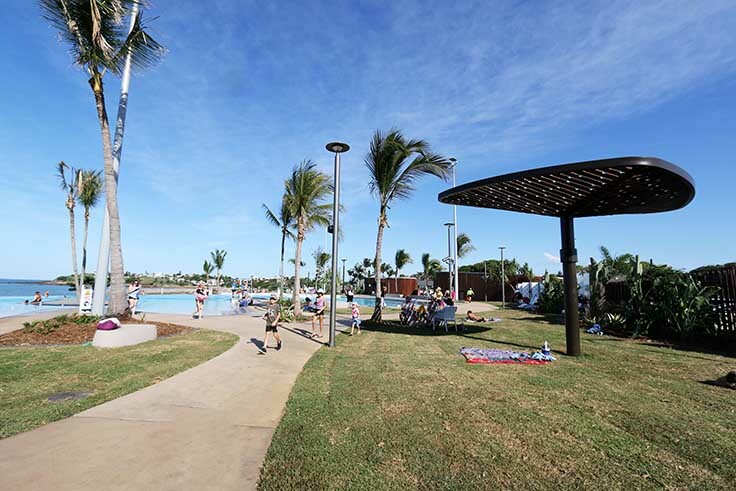 Yeppoon Lagoon is ideal for lazying about, taking the day off from touring around the countless coastal attractions, and giving yourself a break whilst the lifeguards watch the kids splash about. 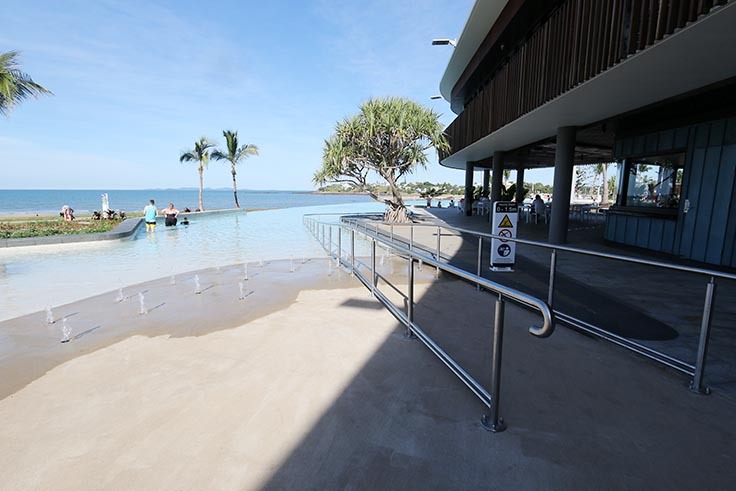 Overlooking the gorgeous Keppel Island cluster and main beach Yeppoon, the Yeppoon Lagoon area is considered by Livingstone Shire Council as the jewel in the crown of the Capricorn Coast. 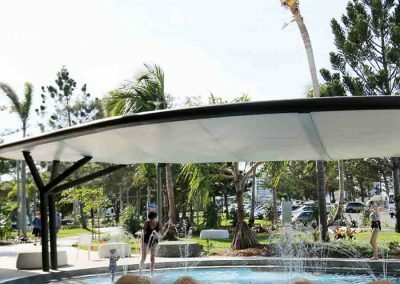 The mega-billion Foreshore redevelopment has finally given the area a fighting chance in the competitive tourism arena. The Council after years dragged kicking and screaming have thankfully given the town a desperately needed overhaul. 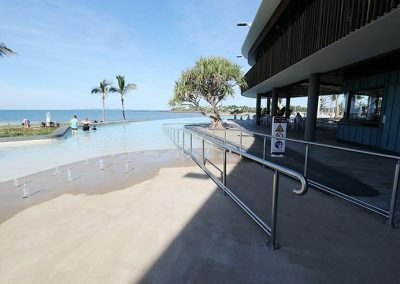 A site for sore eyes after a botched beachfront redevelopment completed a decade ago, was considered the white elephant of Yeppoon. 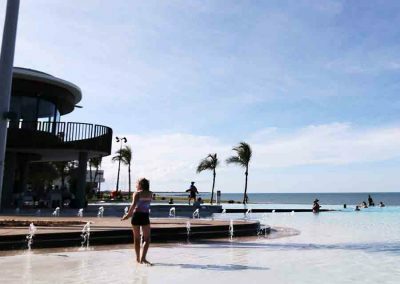 Open from 6 in the morning, the infinity pool sports a drop dead gorgeous sunrise view enjoyed mostly by the staff at the kiosk or those exercising in the incorporated lap pool. Matched only by coloured sunsets viewed by BBQing families or people simply revelling in the sublime atmosphere as the day changes into night. Opening hours 9-6 winter months (May-Aug), 6-9 in summer, the pool has lifeguards on duty year round. And let’s face it, in summer this will be the perfect place to hang out during the balmy humid nights. 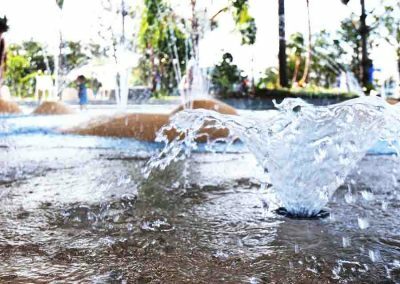 Hopefully, the council will extend summer opening hours for locals and holidaymakers making the most of this attraction. 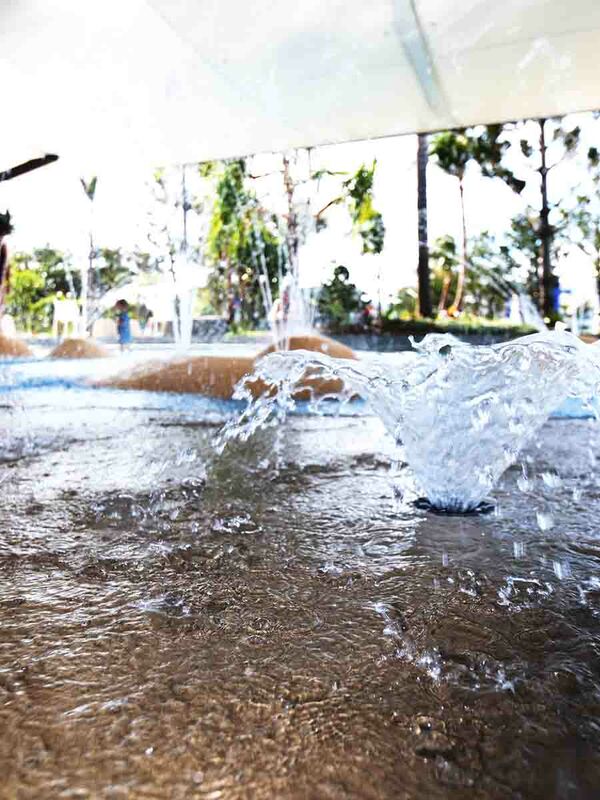 Perfect for families with mixed aged children, the lagoon has a shallow play area for parents with babes & toddlers whilst older children are able to enjoy the rest of the infinity pool space under the watchful eye of lifeguards on duty seven days a week. Around the pool, there is ample space to relax with a mix of grassed areas, comfy loungers, undercover space as well as sun-drenched spots to drop your towel. 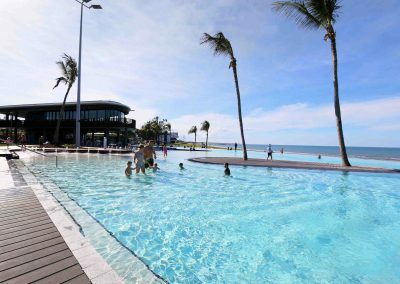 Free to visit, the Yeppoon Lagoon infinity pool makes a great hangout spot for family gatherings, birthday parties, lazy Sunday BBQ lunches and visitor outings that won’t leave your pockets empty. 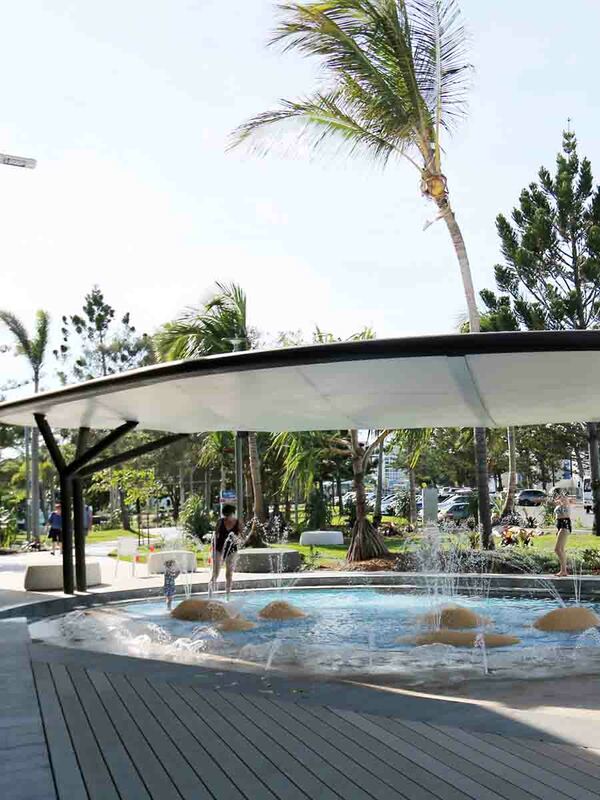 BYO picnic, snacks or sausages to cook while the kids are occupied there’s no pressure to buy all the food from the conveniently located kiosk. But if you wanted an easy cook free day the food there is well priced for those on a budget. And soon a restaurant will be located upstairs. We love our 360 tech. Check out our Virtual Visits page for more. Trip In A Van dropped in a few weeks ago! 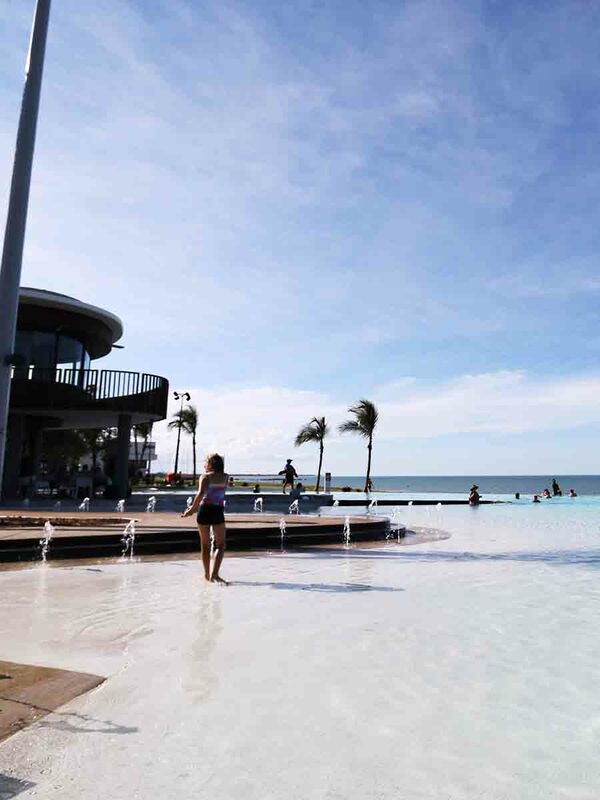 Living the road life with their three little ones, the Trip In A Van crew get paid by tourism orgs to visit beautiful destinations like ours and showcase what’s on offer. 80K strong in followers, their great info about us is dropping down the timeline but we’ll milk their posts a while longer. 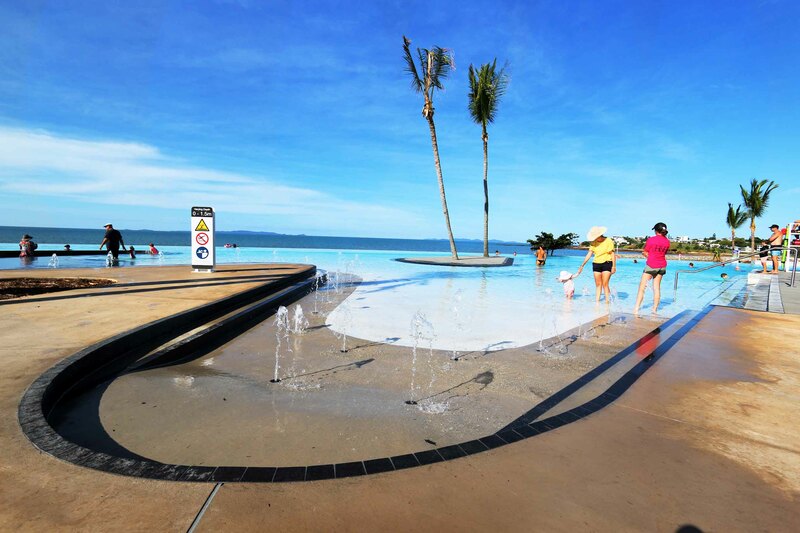 Don’t you just love these images of their kids enjoying our Yeppoon Lagoon? 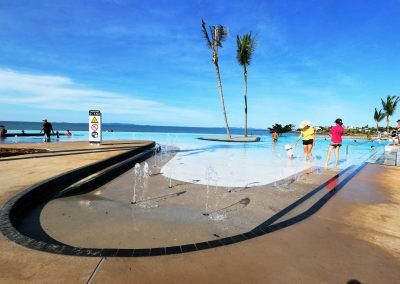 Have you visited the Yeppoon Lagoon yet? What do you think of our great new plaything? And please, join us on Facebook & Instagram and share in our little piece of paradise. Want to start your own blog?! Get the best hosting.